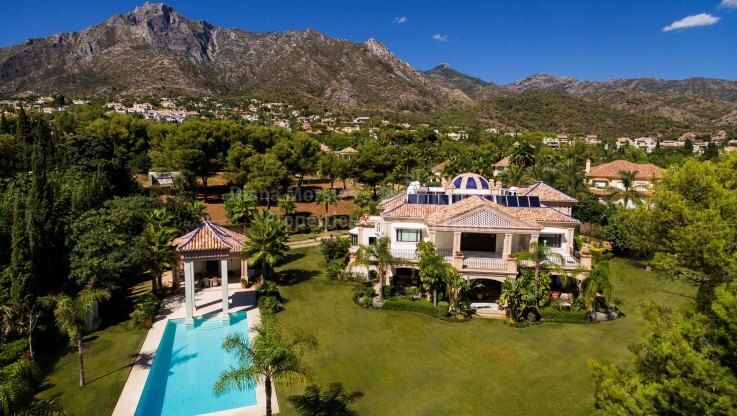 Please, send me more information about ref DM3485-01 in La Quinta de Sierra Blanca, Marbella Golden Mile or similar properties. 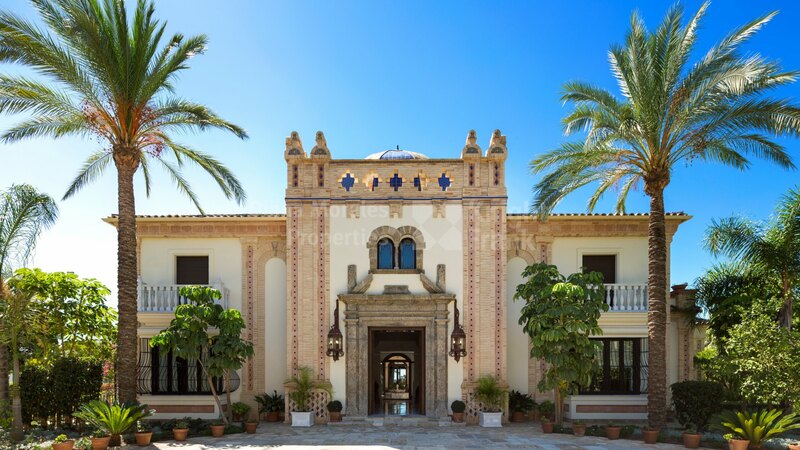 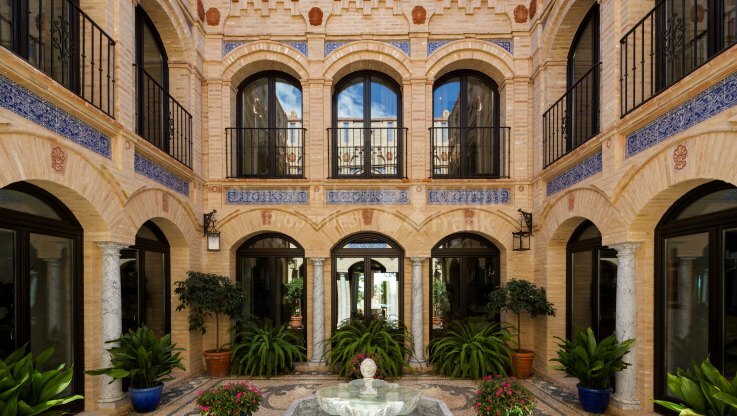 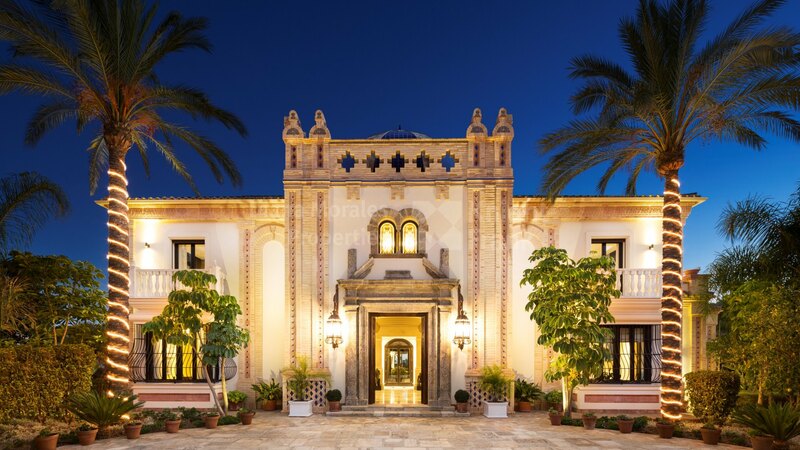 This unique masterpiece is located within a privileged small gated estate at the foothills of Sierra Blanca has been built blending the Roman solidity with the Baroque influence, the harmony of the Mudejar detail, with the refinement of Gothic architecture. 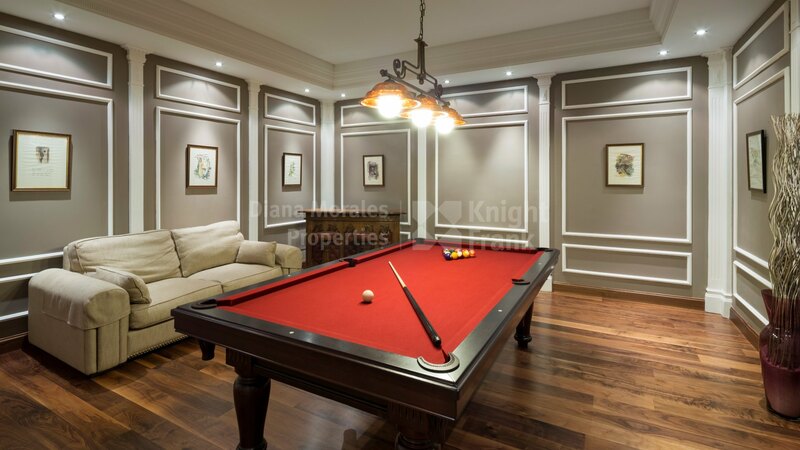 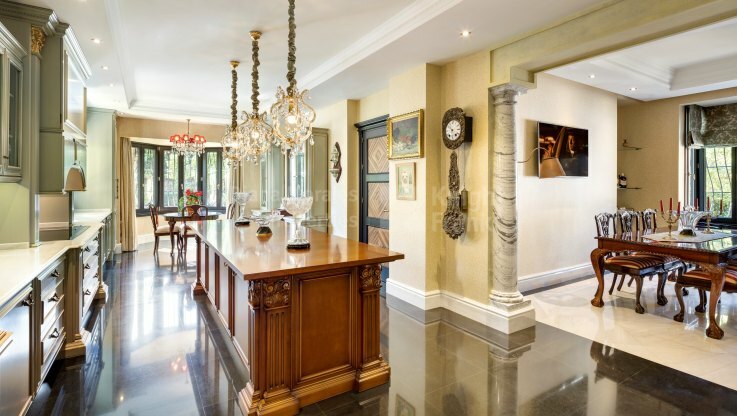 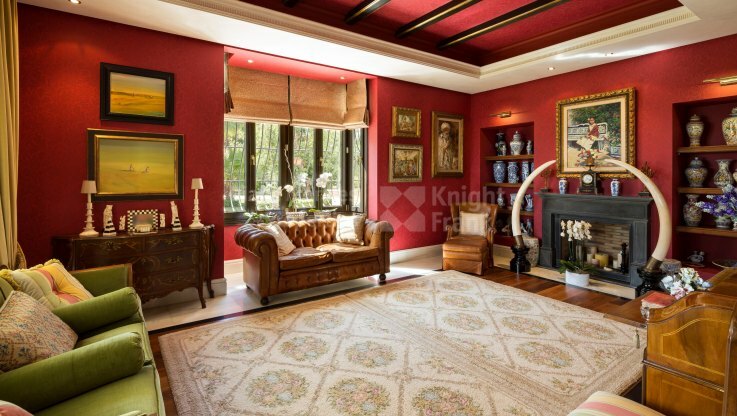 Fine materials, both antique and custom made for the property, crafted by artisan workmen where combined with the latest structural engineering techniques to create this palatial mansion. From the drive of the private estate, the property is accessed through an impressive portico from the 18th century with a mahogany door, framed with rustic handmade bricks and a dome that leads on to the round courtyard paved with antique Roman pavement stones. The entrance door and window above are also from the 18th century in Baroque stone, leading to the elegant hall crowned by a beautiful handmade Andalusian dome, the central hand-paved patio with cobblestones and Carrara marble columns. 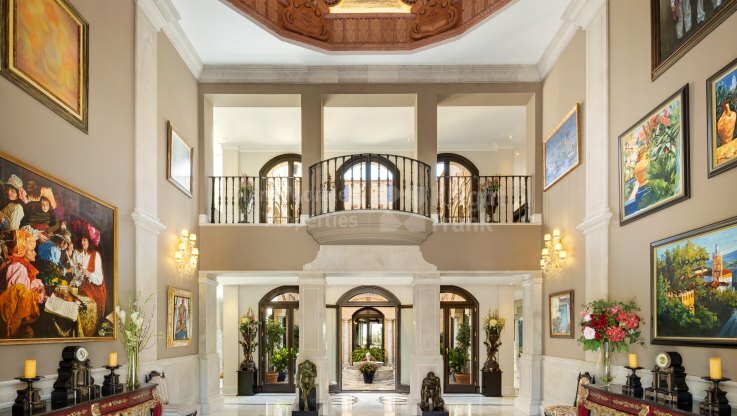 To the left are the lift and a Carrara imperial marble staircase sculpted top to bottom from a single marble piece. 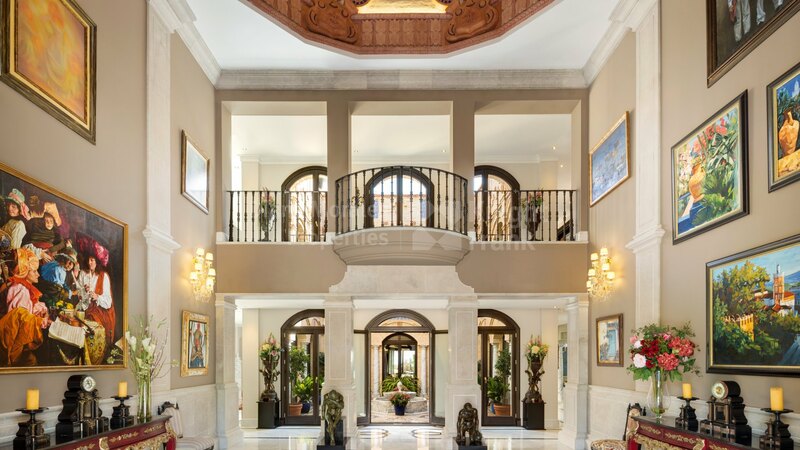 The landing of the stairs faces a stained glass window again crowned by a handmade dome. Surrounding the patio with the central fountain, we access the elegant living room with sea views and leading on to the magnificent covered terrace and manicured garden, a music room on the east corner and a formal dining room on the west corner, adjacent to the classic style kitchen. 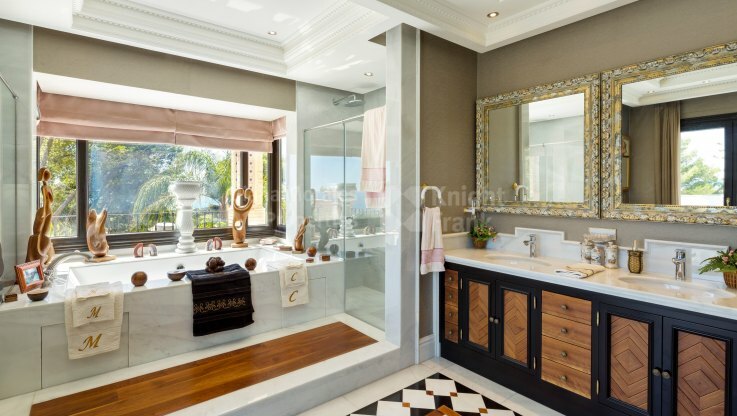 The first floor surrounding the patio, includes the opulent master suite with commanding sea views towards Africa, featuring a walk-in closet and en-suite bathroom. 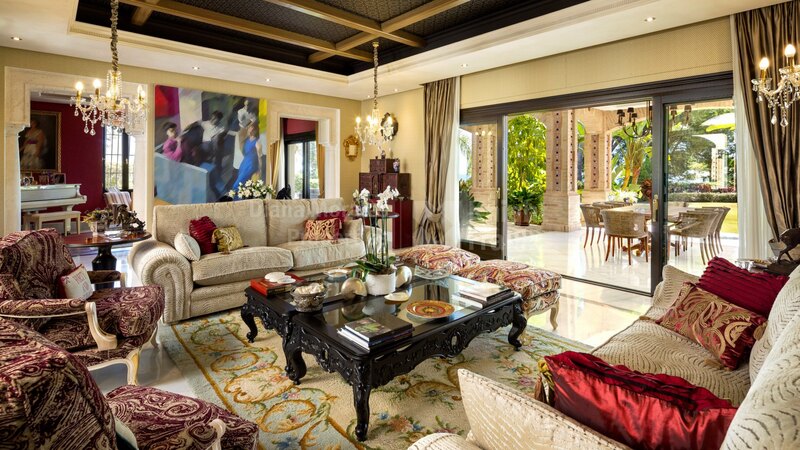 There are two additional suites and a separate room that can be used either as extra bedroom of family room. 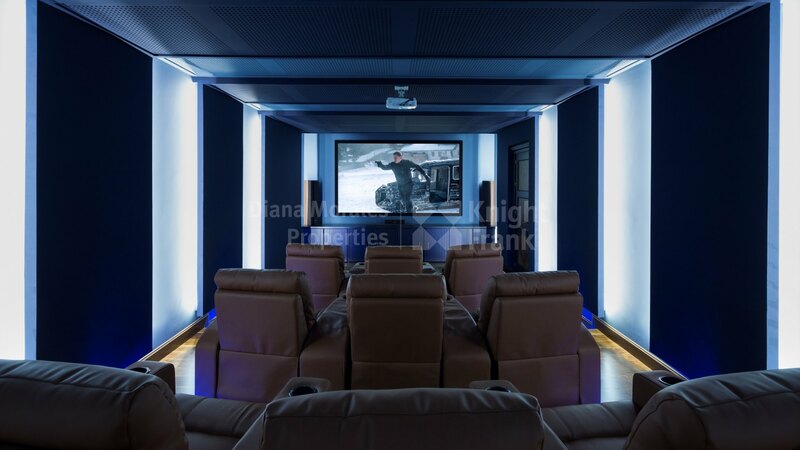 The lower floor includes the cinema, a billiard and games room, a bodega, a separate apartment and a spacious garage for four cars. 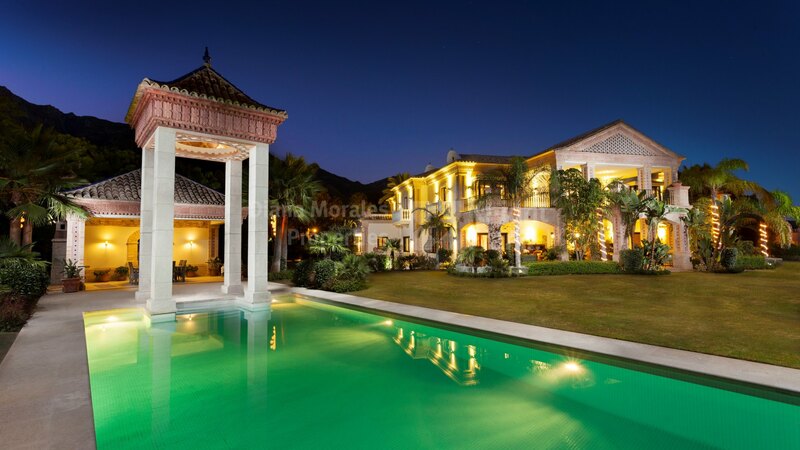 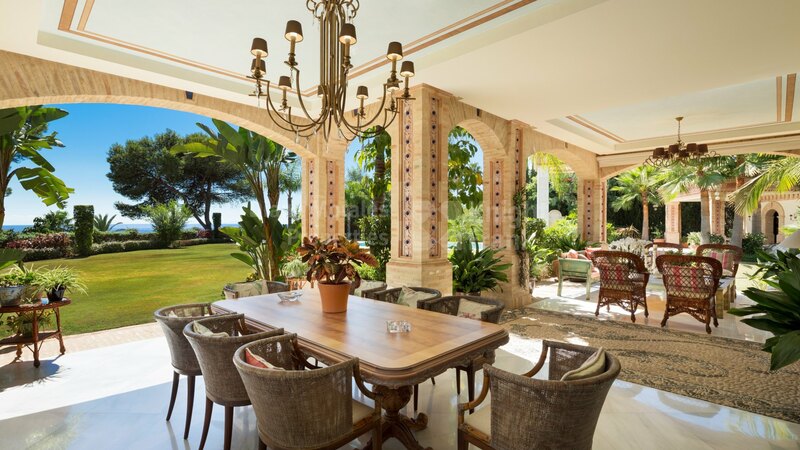 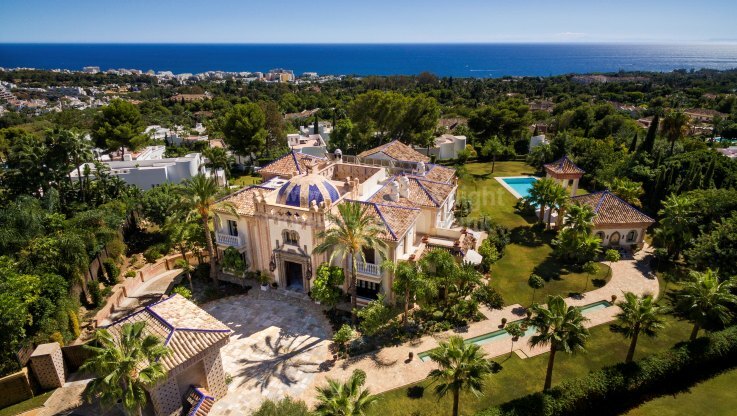 From the impressive entrance, an Alhambra style fountain leads to the swimming pool house and pavilion offering a chill-out area with panoramic sea and mountain views. The pavilion was hand crafted following an exclusive design with a dome and high columns in rustic brick with Seville ceramics custom-made for this property.